Though I live in downtown Minneapolis, in the middle of the hustle and bustle, I always try my hardest to find quite, more earthy locations to shoot senior portraits. A crisp, clean, and slightly organic look is what I try to achieve in every senior shoot. I want a setting that allows my senior to stand out, her personality to shine through. 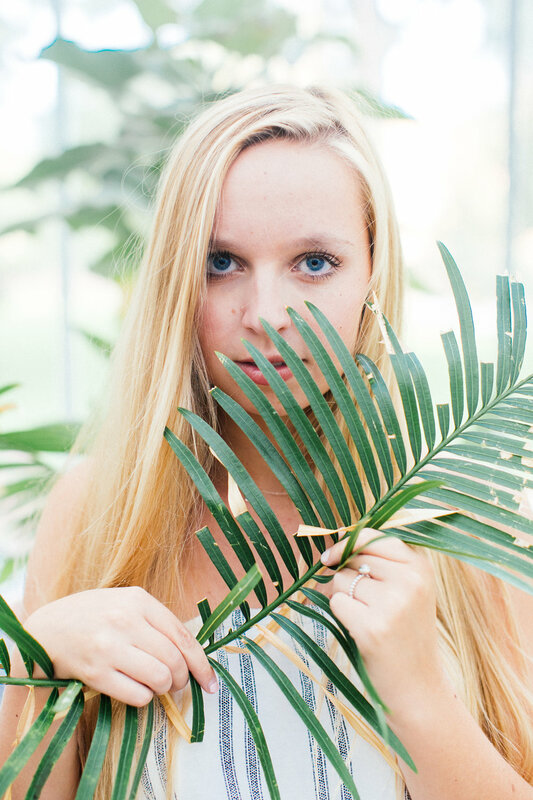 This little greenhouse was the perfect location for the first portion of Chloe's senior shoot. The sun was still blazing outside, but the windows of the studio diffused it, creating a soft, flattering fine art look.